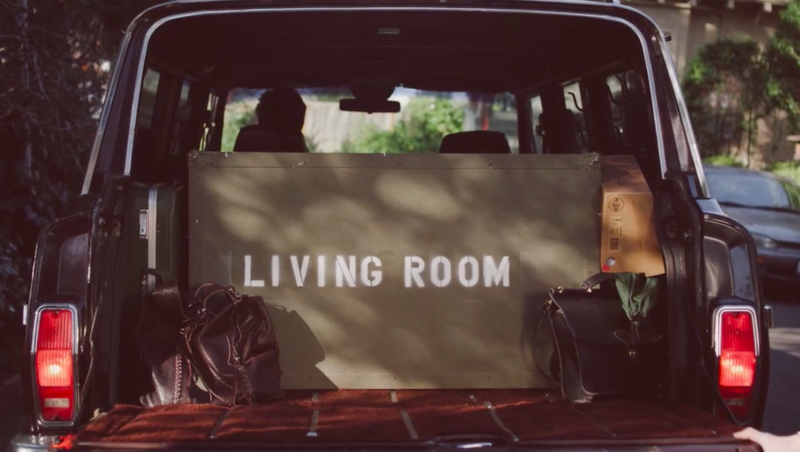 Just how small can an entire living room worth of furniture pack down? True Emporium proves that not only can a room-in-a-box compact to seemingly impossible dimensions, it can do so without sacrificing quality. 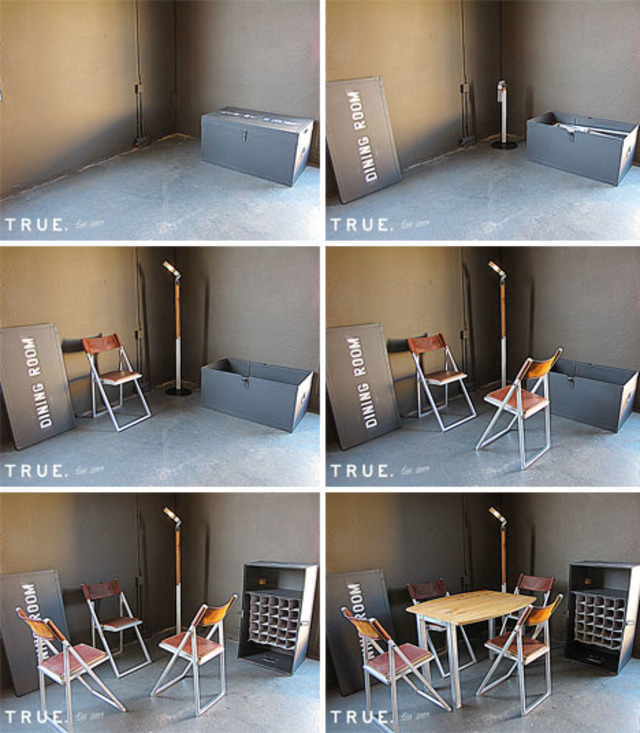 The furniture series ‘IN A BOX‘ includes a living room, dining room and wine bar that expand from easily transportable containers to comfortable full-scale furnishings. 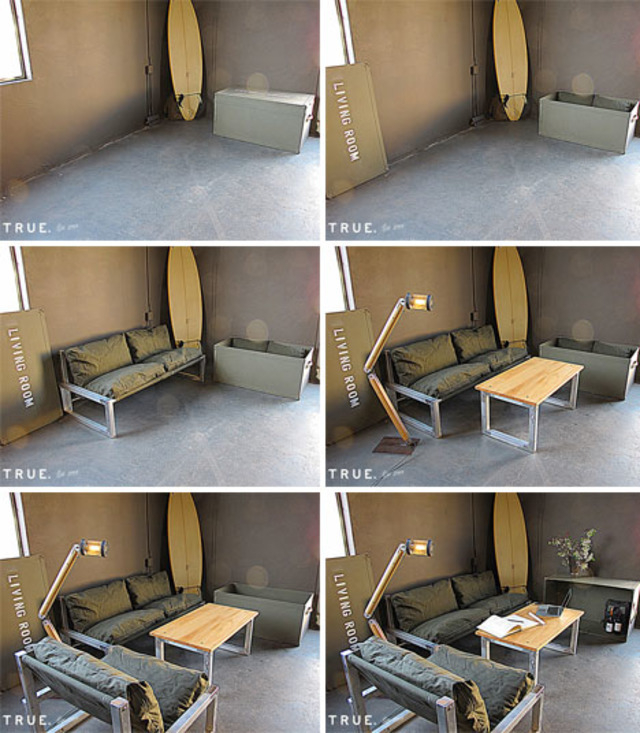 The living room set starts as a case measuring 42″ x 24″ x 21″. From within that box spring a collapsible furniture set including a sofa, club chair, coffee table, jackknife floor lamp and entertainment center. The total weight of the entire contents is just 190 pounds. 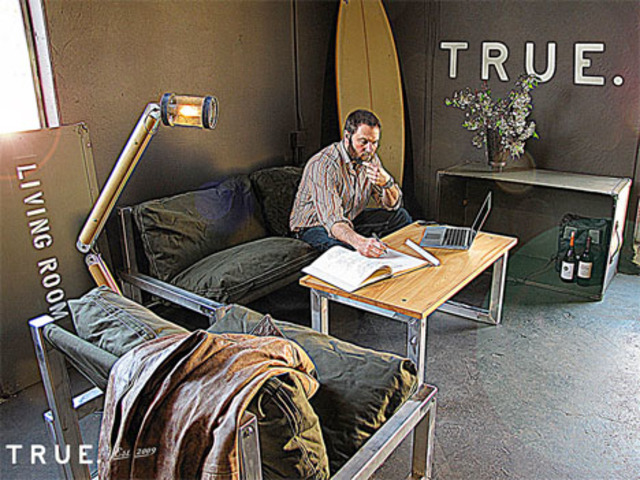 Furniture elements consist of reclaimed wood, welded aluminum framing, reclaimed steel and hand-sewn canvas upholstery, so this is no plastic dorm set that’s going to fall apart quickly. 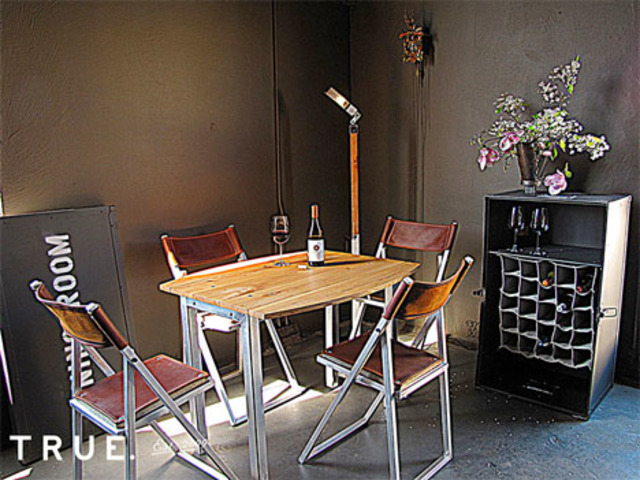 The dining room case includes an expandable table, four leather- and canvas-upholstered collapsible chairs, a Jackknife lamp and a canvas wine rack. All elements are handmade. 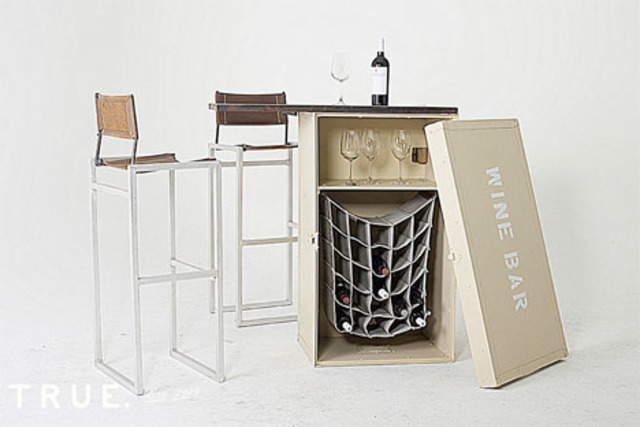 Another product, the wine bar, has a flat table surface that can be set up on top of the box along with two bar stools. Rooms in boxes are becoming more popular for people on the move, city dwellers and anyone who likes the convenience of being able to clear out an entire room in minutes. Some designs are more complex than others, ranging from lightweight capsules to spacious bedroom cubes.